Sen. Orrin Hatch says the package includes widely supported tax provisions and will provide some certainty in the tax code for the next two years. The bill also makes changes to bonus depreciation. The Senate Finance Committee passed by a 23-to-3 vote Tuesday a package of more than 50 tax extenders that includes a two-year extension for tax-free charitable contributions from IRAs, tax deduction for qualified higher education expenses and a bonus depreciation extension. 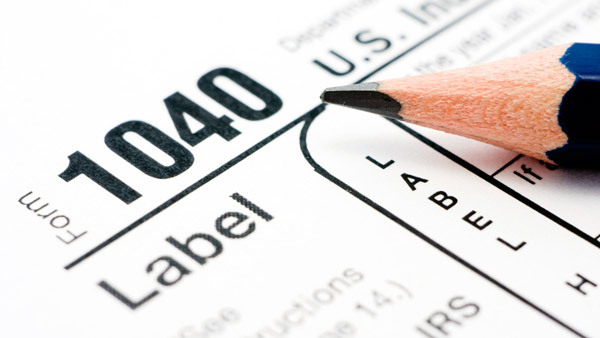 The tax breaks, known as tax extenders, were renewed in December retroactively for the 2014 tax year. The bill extends for two years the provision that permits an IRA owner who is 70-1/2 or older generally to exclude from gross income up to $100,000 per year in distributions made directly from the IRA to certain public charities. The bill also makes two changes to bonus depreciation. It extends 50% bonus depreciation to qualified property purchased and placed in service before Jan. 1, 2017 (before Jan. 1, 2018 for certain longer-lived and transportation assets), and makes a conforming change to the percentage of completion rules for certain long term contracts. The bill also extends for two years taxpayers’ option to forgo bonus depreciation in favor of accelerating corporate Alternative Minimum Tax (AMT) credits acquired in tax years prior to 2006. The bill also extends for two years the higher-education expenses tax deduction that was created under the Economic Growth and Tax Relief Reconciliation Act (EGTRRA). The act created an above-the-line tax deduction for qualified higher education expenses, with the maximum deduction at $4,000 for taxpayers with AGI of $65,000 or less ($130,000 for joint returns) or $2,000 for taxpayers with AGI of $80,000 or less ($160,000 for joint returns). For tax years 2015 and thereafter, a taxpayer may immediately expense up to $25,000 of Section 179 property annually, with a dollar-for-dollar phase-out of the maximum deductible amount for purchases in excess of $200,000. The bill passed Tuesday increases the maximum amount and phase-out threshold in 2015 and 2016 to the levels in effect in 2010 through 2014 ($500,000 and $2 million respectively), and also extends the definition of Section 179 property to include computer software and $250,000 of the cost of qualified leasehold improvement property, qualified restaurant property, and qualified retail improvement property for two years. The bill now goes to the full Senate, where it has to be reconciled with a forthcoming tax extenders bill by the House. – Read a summary of the tax breaks. — Check out DOL ‘Flexible’ on Fiduciary Rule, Perez Says on ThinkAdvisor.